Happy Sunday! 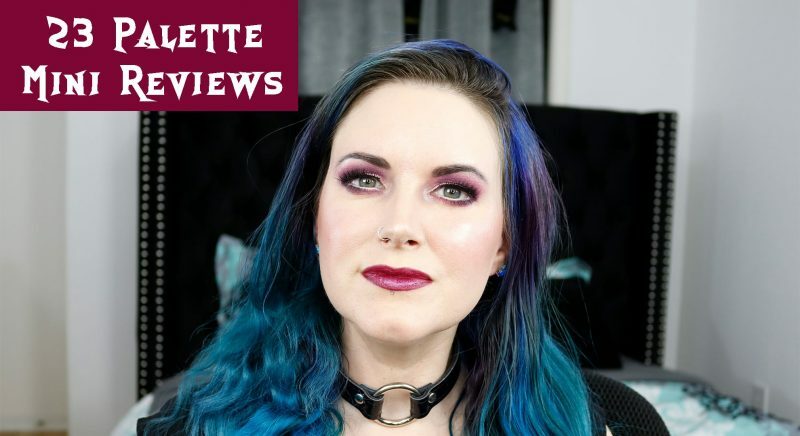 Today I’m sharing 23 Cruelty-Free & Vegan Eyeshadow Palette Reviews. As you know, I buy most of the products that I review on my blog. 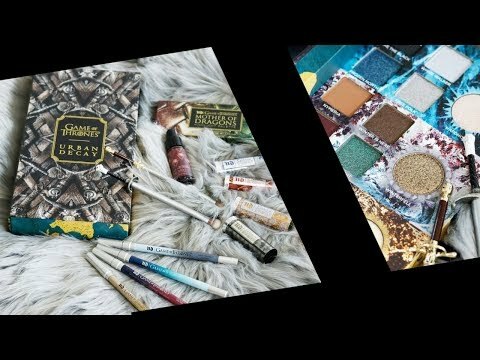 Because of my grief, I’ve been behind on my reviews, so I decided to create a video of mini reviews and swatches to help me get caught up. If you love this video, please share it! UD Aphrodisiac (PR) All shades except Addict are vegan. 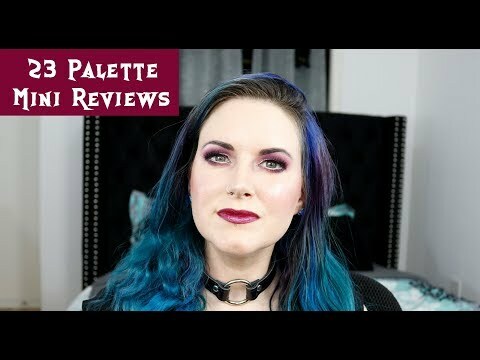 In my 23 Cruelty-Free & Vegan Eyeshadow Palette Reviews video you will see swatches for all of the cruelty-free eyeshadow palettes and vegan eyeshadow palettes. All of the swatches are on my fair skin. My skintone is neutral cool yellow or neutral olive yellow, depending who you ask. My best foundation matches are Cozzette C1, Danessa Myricks N2, Huda Beauty Milkshake, Cover FX N0 and Idun Minerals Jorunn. I look for very fair neutral or very fair cool yellow foundations. People often ask my MAC equivalent number and I don’t know what that would be because MAC isn’t cruelty-free. However, the same person who developed the MAC numbering system also developed the Cover FX system, so I would probably be N0 in MAC if it existed. Previous articleCan the Keto Diet Help Anxiety? Next articleWhat’s your favorite subtle highlighter? A lot of these palettes are cruelty free but NOT vegan sadly as they contain Carmine. ☹️☹️ I had been eyeing the Norvina and the Born To Run palettes since they were first revealed only to find out they weren’t vegan upon release. A couple of the Huda obsessions are vegan as well as p much everything by Lime Crime. Everything by Jeffree Star and Kat Von D (both of which contain KILLER palettes) are CF+Vegan. 🙂 Wet n’ Wild, Nyx, BH Cosmetics, and ColourPop also make (some) vegan palettes. But only the Double Entendre(?) palette from CP is vegan. They have a lot of singles and quads that are vegan tho. Thanks! 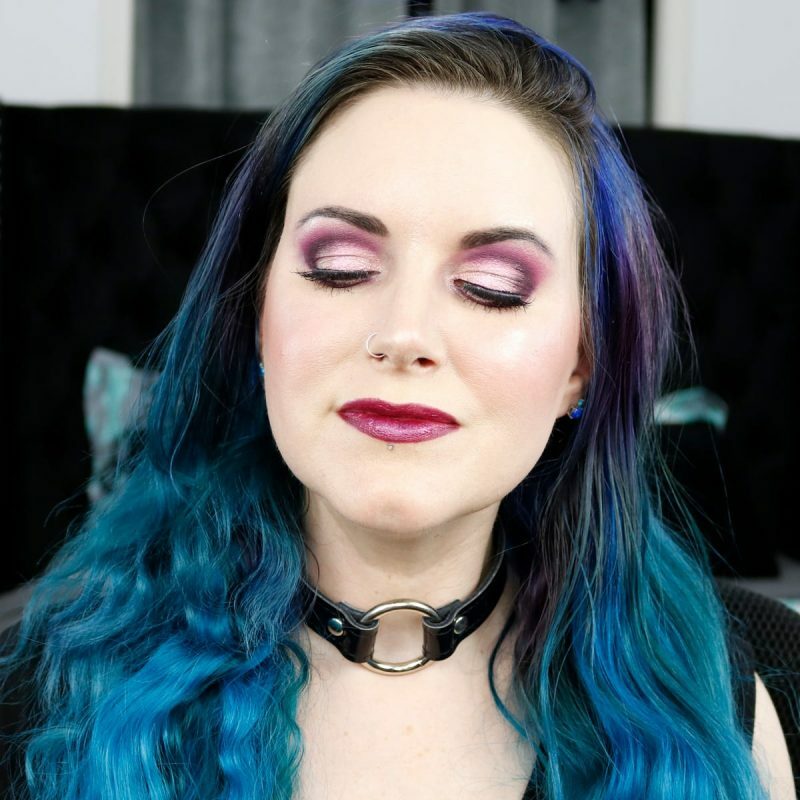 I’ve had my eye on Punked and Huda Amethyst, so I’m glad to have your thoughts on those! I love your reviews! You are so honest and that makes it a no-brainer to use you as a guide to what I should and shouldn’t take a chance on buying. Thanks! Those brands would actually sell more product if they realized that edgy Gen-Xers are old enough to have a lot more disposable income now than 20-somethings — and we are still edgy. Those of us 40+ tend to be able to afford makeup and skincare splurges — and shoe splurges too (Fluevogs???). I’m not even remotely interested in the paid-for, fake-reviews of those idiotic, arrogant kids on YouTube. OMG! That is unconscionable! How dare she!!!! If anyone tried to do that to me… like you, I’d never shop in that store again! You have ME rethinking my shopping habits too. Sorry you aren’t doing well. Hang in there. If you’re angry, let it out so it won’t eat you up inside. Your eye look is spectacular today. There are so many palettes with beautiful purples right now … I wish I could still wear them. Luckily, I collect gemstones, so whenever I have the urge to buy inappropriate eyeshadow, I can look at them. I just did my video of Amethyst today; LOVED it. I didn’t realise Ruby had a couple of purpley shades in there as well. My mirrors arrived intact but the duochrome shade in the middle of Amethyst arrived smashed. Boo.